10 Best SEO is a leader in the field of reviewing search engine optimization service providers and just recently began to put out a list of what firms in the world of SEO it thinks are the best around. On this month's list of winners selected to be the best SEO agency are Boostability, Ignite Visibility, and Straight North. 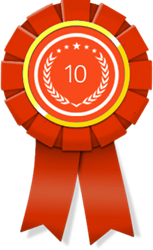 10 Best SEO is pleased to announce the winners of its Best Search Engine Optimization Agency awards for April 2018, with Straight North taking the top honor. 10 Best SEO is a group of experts in the world of digital marketing that is based out of San Francisco, California. The group itself has done extensive marketing for clients ranked on the list of firms considered to be growing faster than any others in the United States. These firms are operated by INC 500, which is indisputably an honor in itself. 10 Best SEO just months ago began generating a list of what firms it thinks are the best in all of digital marketing. This list is looked to by numerous groups around the nation, all of which are constantly seeking the best search engine optimization agency to provide services to themselves, their clients, and others. 10 Best SEO was created back in 2012 and made its first tweet about half of one year afterward. It was first recognized by CrunchBase as a reputable ranking group in 2014, then became even more popular with a new site design in 2016. The most recent version of 10 Best SEO's list is for the April 2018 awards for what its experts believe are the best SEO agencies on the planet. Voted the best SEO agency, Straight North is proud to bring home the first-place ranking in April 2018. It maintains a location in Chicago, Illinois, which is also known as The Windy City. Straight North is full of countless pros in the world of digital marketing, and it has won tons of awards from companies both near the region that it operates in and those from around other parts of the United States. San Diego, California's own Ignite Visibility was ranked second on the list of what 10 Best SEO believes are the best search engine optimization agencies in the United States. The company ensures that it conducts careful research prior to making any changes on clients' web pages, including anything from search engine optimization to social media marketing. Lehi, Utah, is home to the third-place winner on April 2018's list—Boostability. As a top SEO agency, Boostability is known for its exceptional ability to make web pages and bring them to the top of search engines like Google, Bing, and Yahoo. It has an 800 number that is used to bring in business from all of the United States.